Bulb energy customers can refer their friends and family to the “simpler, cheaper, greener” provider and get £50 credited into their MyBulb account. This can either be used to pay for your utility bills or, if you end up with loads of credit, they’ll refund it straight to your bank account. The new customer’ll will also get themselves a £50 credit to start with. My Bulb account went live today. Do you pay the extra by PayPal or how? In my personal experience bulb single tariff worked out much cheaper than with my previous energy supplier. I was already on a good deal with EDF, but bulb’s pricing looked to save me around £250 for the year. Apparently bulb invest a lot in technology, which has allowed them to operate at a cheaper level and they have passed the savings on to the customers. The online interface is really clean and intuitive. They make it very easy to add meter readings, view bills and usage reports, see past communications and check tariff details. The Bulb mobile app is really good and has made adding meter readings (you can just take a picture of your meter ), view your account balance and statements, and even share your referral link using your mobile phone so easy! I have to admit, green energy was not the top of my list when making this decision, but I am really happy that the right decision for me is also the right decision for the environment! The 100% renewable electricity comes from sources including hydro, wind and solar generated in the UK. The 10% renewable gas is generated by taking slurry from piggeries in Oxfordshire and then anaerobically digesting it to make bio-methane gas. According to Bulb website, “Every year, the typical home with Bulb saves 1.3 tonnes of CO2 from entering the atmosphere”. That’s the equivalent as planting 655 trees! Their customer service is excellent and their customer satisfaction levels are far higher than any other of my previous energy providers. The Bulb Community is an online community which offers great support. Members can have an input in how the company is run and share any sort of information, which could be useful to other members. If interested in joining Bulb, use this Bulb referral link below to get £50 off your first bill when you sign up. Refer your friends after that, and they’ll get £50 Bulb credit and so will you. I’ve been with bulb the past few months and really like them. They saved me quite a bit of money on the switch and everything was very straight forward. Their referral scheme is also pretty decent. They give £50 for using a friend referral. Then I’ll chuck you an extra £20 from the money I receive as a thank you for using my link. This will give you a tidy £70.00 profit. Just let me know when you’ve used it, and as soon as it shows up I will PayPal you £20.00. – No lock-in, you can leave any time! I will share half of my £50 with you too since others have offered it. 100% renewable electricity and 10% Gas. Saving nearly £200 per year. This is the cheapest energy provider on the market. Sigh up with my link and we both get £50 within 21 days. Moneysavingexpert recommended! I’ve been with bulb for a year now and they have been the best so far. I recently received an email from them saying they have credited £10 to my account because I had waited on the phone for 11 minutes to speak to someone 3 weeks earlier. This is how companies should behave, I thought. They will pay any exit fees when you leave your old supplier. They have consistently been the cheapest for me for the last year. You get monthly email reminders about your direct debit due. If your account is in credit by more than your monthly direct debit you can request a refund. They offer the warm home discount. They also operate a referral system where you and the one refer can get £50 each added to your account when you sign up. Because I’ve been with them a year if you sign up using the following link by 16th Jan 2019 they will credit your account with £100. That’s by Wednesday midnight. Tonight. 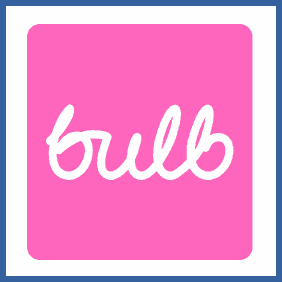 If you sign up to Bulb using my link, we will both benefit from receiving £50 credit to our utility bills. I’ll send you £20 from my credit to you on switch completion. Reply to this comment to get £20 from me.